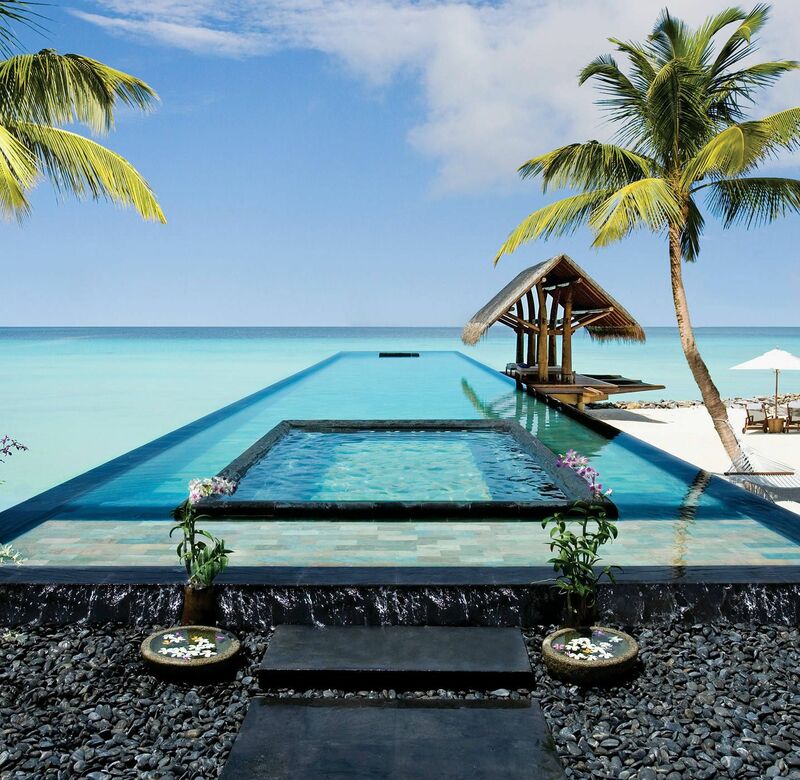 Surrounded by the picturesque beauty of the North Malé Atoll, the One&Only Reethi Rah is one of the Maldives’ most spectacular spa resorts and a favorite with honeymooners and celebrity couples. Boasting 128 private thatched villas sprawled spaciously along white sandy beaches, tucked among the lush tropical greenery, or floating over the gin-clear waters of the lagoon on wooden stilts, the luxury resort has an elegant contemporary style, no less than 12 beaches, and the Maldives’ first ever sun spa. 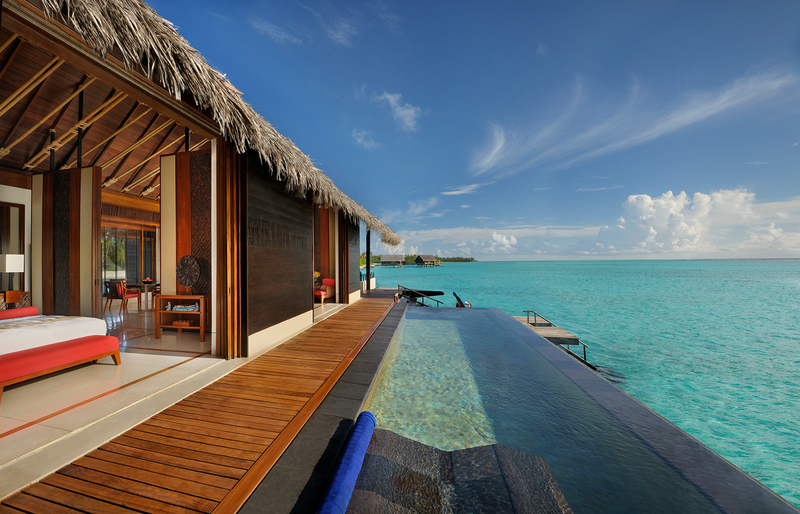 Home to some of the largest resort villas in the world, the One&Only Reethi Rah features vast, deliciously secluded villas with soaring ceilings, light, airy living and dining spaces, wooden decks with sun loungers, white hammocks idyllically swaying between palm trees, and shady verandas with awe-inspiring views. 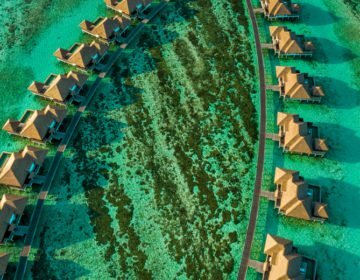 Floor-to-ceiling doors and windows framed with thatch fringes embrace breathtaking ocean views, and Grand and Water villas are exclusively accessed by over-water walkways and come with their buggies. 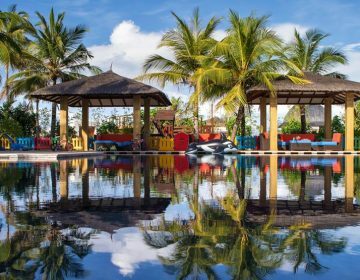 Secluded by lush tropical greenery with their own stretch of sandy beach and spectacular views of the ocean, Beach Villas are available in four types, namely standard Beach Villas, Beach Villas with Pools, Two Villas Residences with Pools, and Grand Beach Villas with Pools. Ranging from 135 square meters of space (Beach Villas) to 322 square meters Grand Beach Villas with Pools, these beautifully appointed retreats boast contemporary-chic décor with modern furnishings, marble en-suite bathrooms with walk-in rain showers and soaking tubs, ample sun decks with sun loungers and private swimming pools (except Beach Villas), and exquisitely designed living and dining areas for entertaining and relaxing. Sanctuaries of seclusion and privacy perched above a sparkling turquoise lagoon and exclusively accessed by over-water walkways, Water Villas range in size from 149 to 241 square meters and feature exquisite décor in natural tones, modern furnishings, spacious living and dining areas, and wraparound decks with sun beds and hammocks that seem to float over the azure waters of the lagoon. Nestled among the island’s lush, tropical greenery at the end of a private road and commanding the island’s most significant stretch of private beach, the One&Only Reethi Rah’s Grand Sunset Residence is a study of luxury and opulence. An indulgent residence of grand design and expansive proportions, the elegant retreat features designer outdoor living spaces and exceptionally appointed interiors that seamlessly merge with one another to create an even flow throughout the property. Designed to be an exclusive island home of privilege and privacy, the 2,487-square-meter abode boasts three exquisitely appointed en-suite bedrooms, lavish living and dining areas, and a private 50 square-meter swimming pool surrounded by an ample sun terrace with inviting spaces for relaxing and entertaining. From the quiet luxury of in-villa dining to a variety of idyllic dining venues around the island, guests are treated to out-of-this-world culinary experiences from the simple to the sublime. Savor garden-to-fork cuisine in the tranquil surroundings of the chef’s garden at the organic Botanica, where natural produce from land and sea is used to produce delicious organic fare and served beneath the branches of an ancient Banyan tree or in the Orchid House at the Chef’s Table. Savor a fusion of delectable and innovative contemporary Asian, French and Italian fare at Reethi, whose dining space is split into three areas: Earth, Fire and Aqua and menus feature an enticing mélange of globally-inspired dishes from around the world. Tapasake serves world-class contemporary Japanese cuisine with a modern twist in a stylish setting against a backdrop of world-class sunset views. The creative menu features freshly prepared sushi and sashimi, fresh catch-of-the-day fish, and a variety of small plate dishes, accompanied by an exciting collection of traditional sakes, and world-class wines. Tapasake‘s tranquil outdoor area boasts four open-air Teppanyaki stations and spectacular views. Rabarbaro dishes up authentic Italian cuisine in a paradise-island setting where a subtle yet straightforward and delicious selection of authentic Italian fare leaves a lingering flavor of Italy in the mouths of diners. Head to Fanditha at the northern end of the island for a secluded and romantic Middle Eastern-influenced dinner for two as the water laps your toes, or dine on simple salads, seafood, and steaks overlooking the turquoise lagoon at the Beach Club at ClubOne. Choose from one three elegant and stylish bars for sunset cocktails, fine wines, and imported Champagnes, or enjoy butler-served dining on the secluded stretch of sand in front your private villa. Surrounded by lush tropical gardens and coconut groves, the luxurious One&Only ESPA Spa features the exclusive ESPA with steam rooms, saunas, a saltwater Watsu pool, and private treatment villas and relaxation pavilions where ancient therapies and modern techniques are brought together to provide a soothing and restorative oasis. Expert therapists use authentic and indigenous methods to offer a comprehensive range of massages, body rituals and therapies, and facial treatments in a serene and tranquil environment. Designed to nurture and re-balance the body, One&Only Signature Experiences range from Elevation and Restorative to Unwinding Experiences. One&Only Reethi Rah offers an array of activities and outdoor recreation for guests of all ages from cooking and painting classes to a variety of beach and watersports. Sport and leisure activities around the resort include a rock climbing wall with five distinct routes, floodlit tennis courts, three swimming pools, an artist’s studio where art classes are held, and shopping at one of three high-end boutique stores. 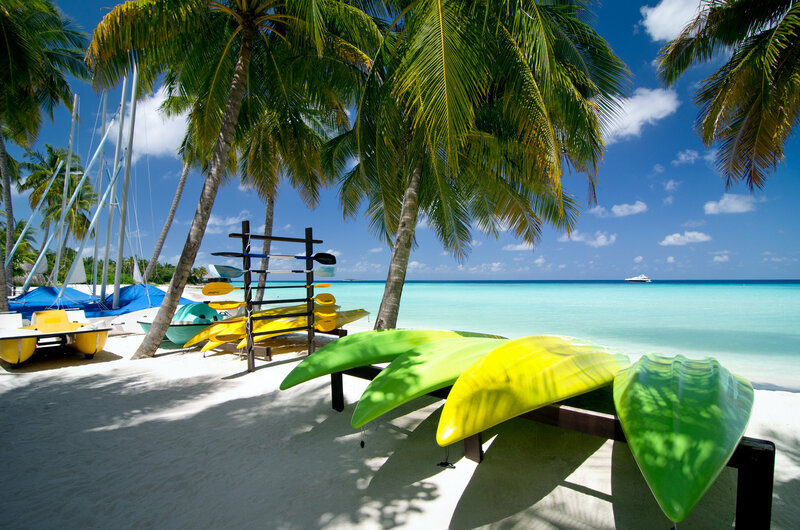 Water sports include snorkeling, scuba diving, windsurfing, stand-up paddle boarding, kayaking and canoeing, swimming, and motorized sports such as jet skiing, waterboarding, and flyboarding. A PADI Gold Palm and certified Dive Centre is complete with nitrox, re-breathers, underwater scooters and more, and offers a selection of courses, lessons, and guided trips for snorkeling and scuba diving. The Fitness Center features Kinesis™ and Technogym® equipment; yoga and meditation classes are offered at the Chi Pavilion. Outdoor facilities include two floodlit tennis courts and a FIFA-approved synthetic football field. ClubOne is a trendy beach club offering activities and entertainment for all ages including an Art Studio, a climbing wall, and indoor golf simulator. The signature KidsOnly and OneTribe (tween) programs are carefully tailored to younger guests ages 4 to 1 and are unique to One&Only. 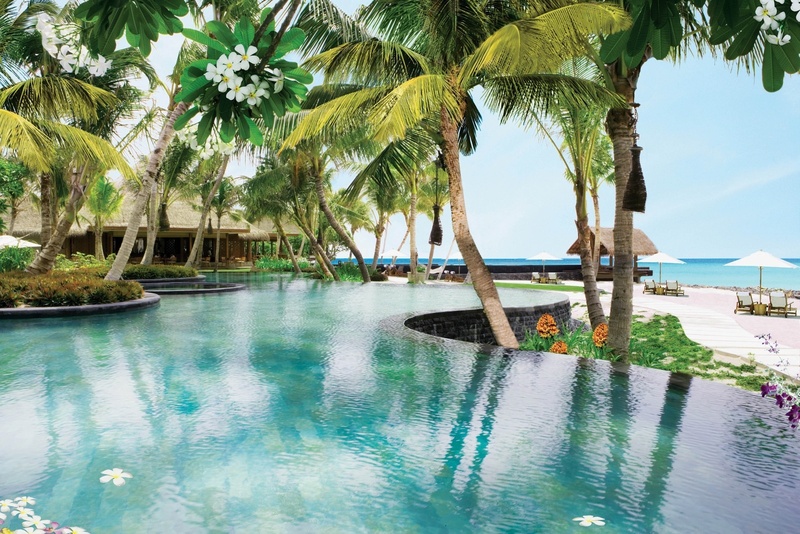 The resort boasts six kilometers of private coastline and no less than 12 beautiful beaches, two separate swimming pools – one for adults, and one for children and families – and a 30-meter long lap pool stretching into the lagoon. 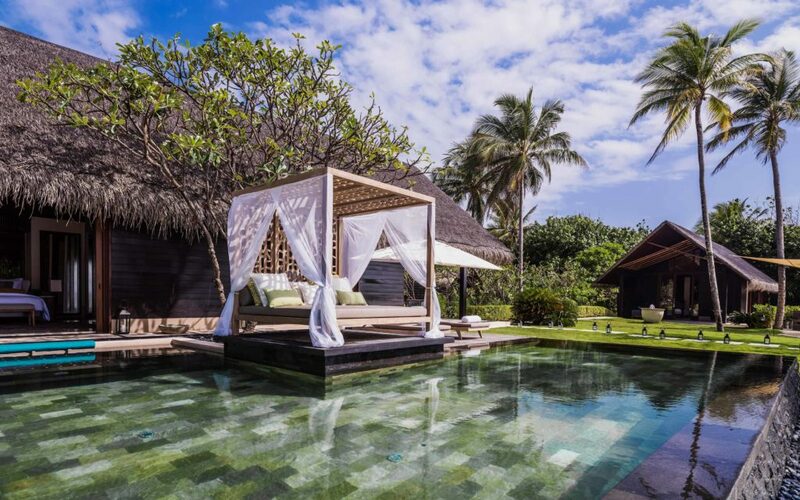 One&Only Reethi Rah provides the perfect island getaway for intimate weddings and honeymoon celebrations against a spectacular background of Indian Ocean views. 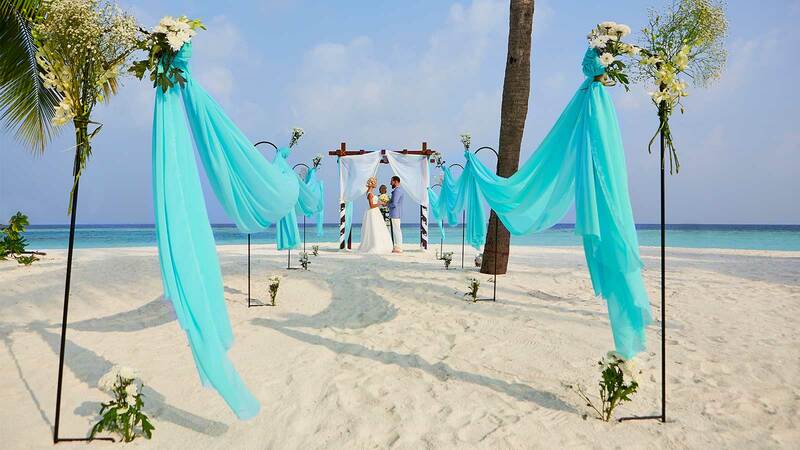 One&Only Reethi Rah is the ideal romantic setting for romantic weddings with beautiful venues for ceremonial blessings such as a dedicated wedding pavilion or the picture-perfect white sandy beach. Wedding venues include the resort’s pristine white sandy beach overlooking the sparkling Indian Ocean or on one of the private beaches in front of the villas; beneath the thatched roof of the magnificent wedding pavilion on the northern tip of the island, which is adorned with fresh flowers and orchids; or in the ‘Fire’ section of Reethi restaurant, which boasts dramatic high ceilings, vast pillars and sublime décor. 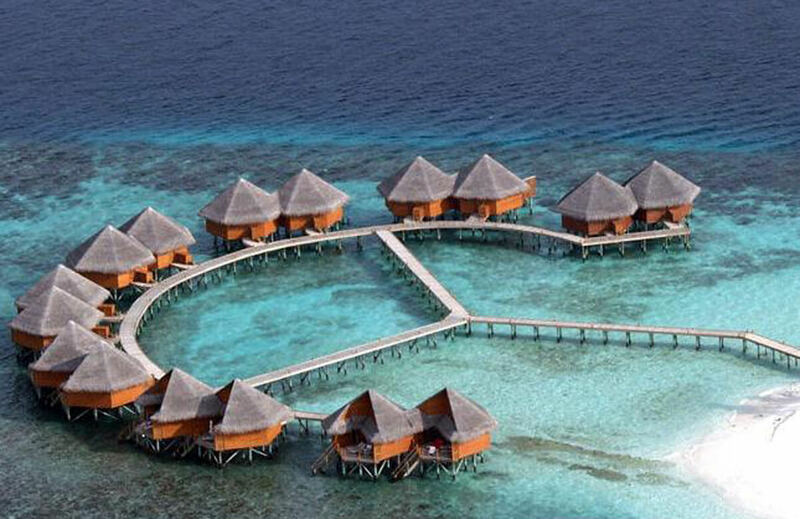 One&Only Reethi Rah offers two packages: the Legendary Sunset Wedding Package and the Exchange of Vows Package. The Legendary Sunset Wedding Package is a comprehensive program of wedding day details and pampering services, ranging from a dedicated coordinator who can arrange all the details from a ceremony venue decorated with fresh flowers and signature Reethi Rah orchids, a Master of Ceremony and a bridal bouquet of orchids, roses or lilies to a fresh flower buttonhole for groom, a floral headpiece and new flower petal confetti, and a customized wedding cake. The coordinator can also arrange a golf buggy decorated with flowers for the newly-weds and a candlelit dinner at Reethi Restaurant. The Exchange of Vows Package offers several beautiful venues where couples can exchange their vows against a backdrop of swaying palms, turquoise ocean, and a white sandy beach. A dedicated coordinator is on hand to arrange all the details. 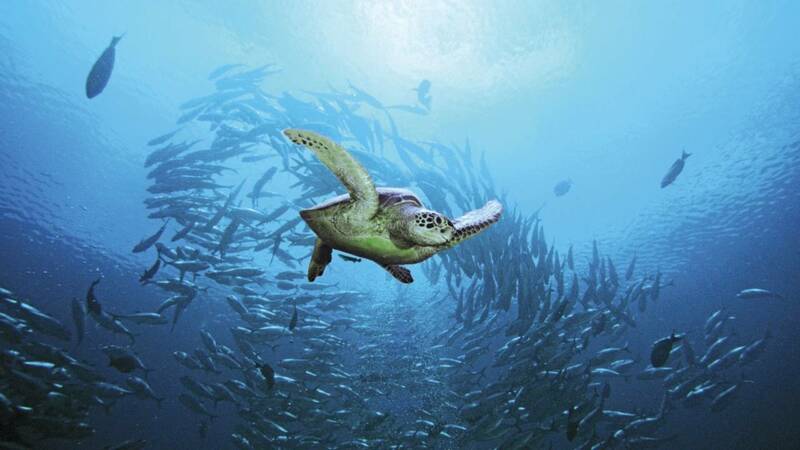 One&Only Reethi Rah is proud supporters of the Oliver Ridley Project, an organization that works to reduce the threat of ghost fishing nets in the Indian Ocean.